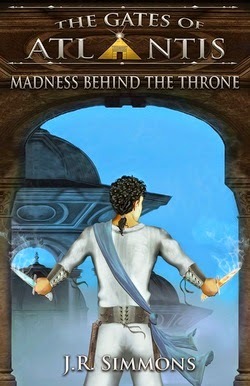 Welcome to The Gates of Atlantis Book Tour! 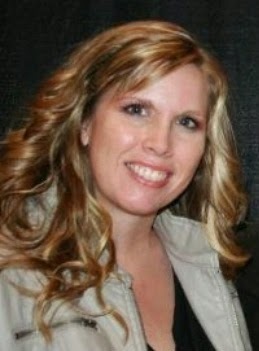 Wendy Knight is the bestselling author of the young adult series Fate on Fire and Riders of Paradesos. She was born and raised in Utah by a wonderful family who spoiled her rotten because she was the baby. Now she spends her time driving her husband crazy with her many eccentricities (no water after five, terror when faced with a live phone call, no touching the knives…you get the idea). 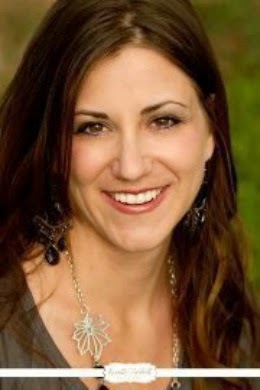 She also enjoys chasing her three adorable kids, playing tennis, watching football, reading, and hiking. Camping is also big—her family is slowly working toward a goal of seeing all the National Parks in the U.S.
Laura Bastian grew up in a small town in central Utah and now lives in another small town in northern Utah. She always loved stargazing and imagining life outside her own little world. Though they grew up only thirty miles apart, she didn’t meet her husband until they went to college. A graduate of Utah State University with a degree in Elementary and Special Education, Laura has been using that training as she raises her children and writes make believe worlds. You can usually find her on her laptop either typing away, or on social media interacting with friends. This is where I tell you about how amazing and interesting my life is. Sorry to disappoint you with my non-glamorous life, but I'm a normal person who loves to read and loves to write. I've written romance, YA paranormal, and mid-grade fantasy--who knows what I'll try next? I just listen to the voices in my head and let their stories out. I'm married to my favorite person, and together we're raising two hilarious daughters and a dog who dances gangnam style for treats. La vie est belle! 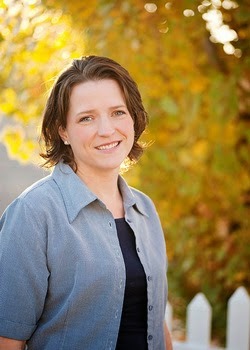 Jaclyn Weist is an Idaho farm girl who grew up loving to read. She developed a love for writing as a senior in high school, when her dad jokingly said she was the next Dr. Seuss (not even close, but very sweet). 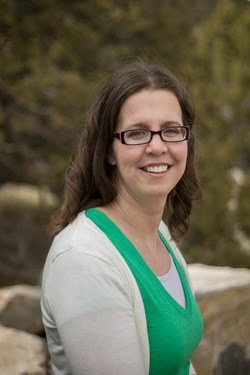 She met her husband, Steve at BYU and they have six happy, crazy children that encourage her writing. After owning a bookstore and running away to have adventures in Australia, they settled back down in their home in Utah. Jaclyn now spends her days herding her kids to various activities and trying to remember what she was supposed to do next. Mikey Brooks is a small child masquerading as an adult. On occasion you’ll catch him dancing the funky chicken, singing like a banshee, and pretending to have never grown up. He is the author/illustrator of several picture books including the best-selling ABC Adventures: Magical Creatures and Bean’s Dragons. He is also the author of the best-selling middle-grade fantasy The Stone of Valhalla as well as the exciting series The Dream Keeper Chronicles. His art can be seen in many forms from picture books to full room murals. 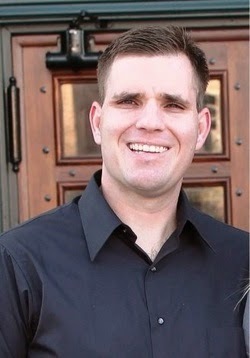 He loves to daydream with his three daughters and explore the worlds that only the imagination of children can create. Mikey has a BS degree in English from Utah State University and works fulltime as a freelance illustrator, cover designer, and author. As a member of the Emblazoners, he is one of many authors devoted to ‘writing stories on the hearts of children’. He is also one of the hosts of theAuthors’ Think Tank Podcast. 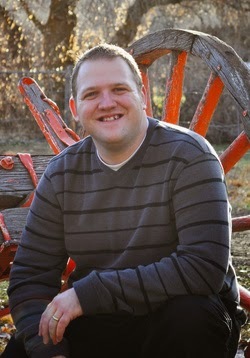 You can find more about him and his books at:http://www.insidemikeysworld.com/. AND NOW ON TO THE FABULOUS BOOKS!! 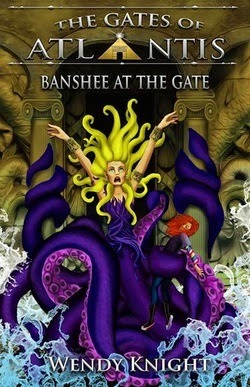 Thirteen-year-old half-breed banshee, Seven, likes her life. She leads souls safely to Death and she has the planet’s most awesome dad and little brother. But a cryptic message from Atlantis asking for her help changes all that. And then there’s Death, who has decided it’s time to take her brother’s soul. Now she’s racing across the world, trying to stay one step ahead of Death. Unfortunately, getting to Atlantis from Ireland isn’t easy, and there are evil minions determined to keep her away every time she turns around. But fighting for their lives teaches Seven one very important lesson—she isn’t human, and she isn’t a banshee. She has to be both if she wants to save her brother and make it back home alive. Thirteen-year-old merman Exander wants to leave Atlantis to mingle with the humans and explore the world above. Talia, his best friend, wishes she was a guardian of a gate leading to the surface. She'd keep those nasty humans out of her beloved city of Atlantis. When Talia accidentally short circuits a gate, Exander is trapped on the wrong side, getting a crash course in navigating the human world. As Talia fights to help Exander come home, she learns someone is closing the other gates, and it’s destroying the magic of Atlantis. If they can’t convince the magical creatures of the world to save the gates, the destruction of Atlantis will only be the beginning. 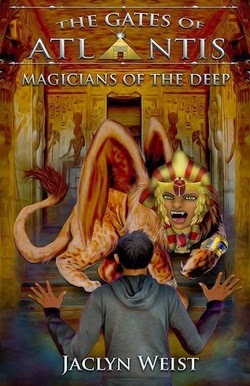 Adam Alfaro daydreams about magic, myths, and becoming famous for discovering the lost city of Atlantis. The only problem? He has to spend spring break in Africa while his mom works. To make it worse, everyone expects him to be friends with the annoying Clancy Pitt while he’s there. It’s dislike at first sight...until he realizes she might know a few secrets about Atlantis. Then he meets Nef, a spirited sea kelpie who needs help rescuing naiads kidnapped and left to die in an ancient mine. Suddenly the strange creatures Adam dreamed of become all too real. And they’re after him. 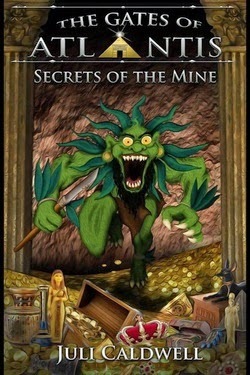 Can Adam, Clancy, and Nef fight their way through the maze of tunnels in the mine and reach the naiads before it's too late? Thirteen-year-old Colin knew nothing of the magic world until he is bitten by a mischievous pixie. He meets thirteen-year-old Alleya on a secret website devoted to magical creatures. Before he knows it, Colin finds himself thrust into a whole new world. Alleya has been hidden away from the rest of Atlantis because she’s half-mermaid, half-Atlantian. Her father tries to ease her boredom by getting her a computer and finally allowing her to go to school. She accidentally lets slip a dark secret —the gates to Atlantis are being shut and it's destroying magic. 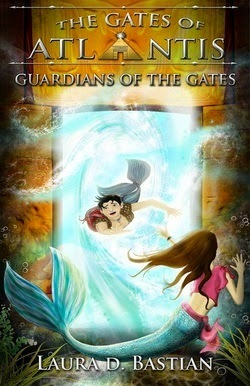 Alleya is exiled to Indiatlantis. There, she learns mermaids are getting sick because of the lack of magic, and the tunnels are beginning to collapse. Together, Colin and Alleya must find a way to bring back the old magic and fight to save Atlantis. Callidora is an Atlantian noblewoman and member of an elite guard whose purpose is to keep Atlantis pure...until her life is turned upside down by the birth of a son. Phoibos, bullied and taunted by other kids, is sure of one thing: something is wrong with Atlantis. Impure, Atlantian-Human hybrids are ruining his city, and he'll stop at nothing to rectify that. Callidora is the only one who knows the truth of who her only son really is, and how dangerous he can be. 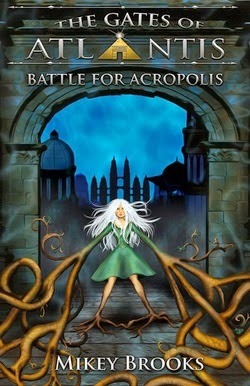 Can anyone stop Phoibos before his need for purification brings Atlantis to the very brink of destruction? Thirteen-year-old Talon is in trouble...again. He didn't mean to burn down the school library. It just happened. Things like that always happen to Talon. His life is a mixture of the weird and bizarre. No one else he knows can shoot fire from their hands or cause anearthquake...but he can. Every night the same dream haunts Talon: the destruction of an underwater city. He doesn't have a clue what it means but he feels like fate is trying to warn him. It's not until he runs away with his foster sister Hattie that he discovers his trouble-making powers and strange nightmare are connected. Together they are the key to saving magic...to saving Atlantis.